Varnish is a popular reverse proxy used to accelerate pages by caching static HTML, but it doesn’t natively support SSL/TLS, as required by HTTP/2. So how can we achieve high performance using Varnish with HTTP/2? Support for HTTP/2 is finally being released with httpd 2.4.17. This guide provides advice on how to build/deploy/configure it. A simple online tool that lets you issue requests to two different URLs and quickly see the difference in the headers and body. 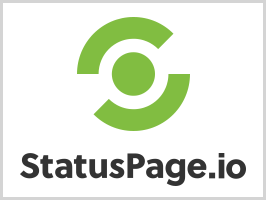 StatusPage.io is the best way to build a status page for your app or website. We help companies keep their customers and/or internal teams in the loop during downtime. The CTO of Segment, a customer data platform, writes about the realities of handling infrastructure while rapidly building a company, including using Amazon Web Services and Docker. Amazon are relatively tight-lipped on the designs of their custom gear, but here’s a look at what they have revealed recently. A look at a fundamental concept to keep in mind when implementing a performance culture for your Web projects: the performance budget. A look at an experimental tool to configure your NGINX instance on the fly to act as a load balancer, abstracting away all the nitty-gritty details of NGINX configuration files with a web-based UI. Google’s default crawler is now so good that their AJAX Crawling guidance is now deprecated. Timestamps are used in TCP data segments to monitor round-trip time. This can be very useful but on low latency networks, disabling timestamps can yield minor improvements. A step forward for a new certificate authority aiming to provide free, automated and open certificates to all by the end of 2015. The popular VPS host now allows users to have IPs that can be instantly moved between VMs.